To celebrate the upcoming release of The Expendables (2010), this summer’s all-star action epic, Cine-Vue has teamed up with Lionsgate Films UK and UK Paintball to give away FREE Games of Paintball Passes to CineVue readers. The offer is redeemable at 45 UK Paintball locations across the UK and there is a very simple redemption mechanic. Simply log on to expendablespaintball.co.uk and enter the code 949395 when prompted. Then all you need to do is download your voucher. Each voucher is valid for 12 months and just needs to be printed off. 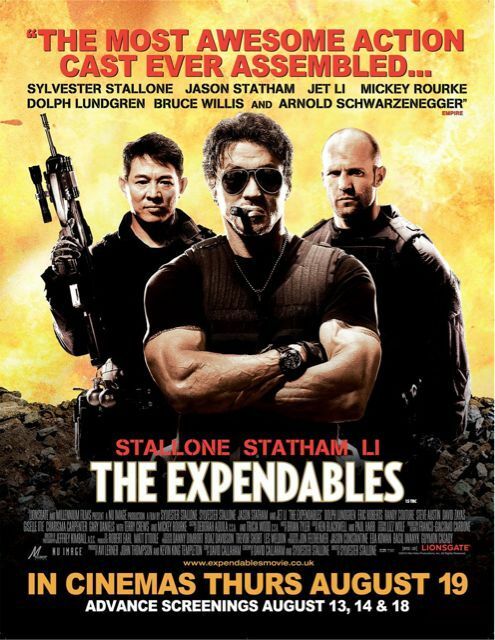 Below is The Expendables’ press release. When the mysterious Church offers Barney a job no one else would take, Barney and his team embark on what appears to be a routine mission: overthrow General Gaza (David Zayas), the murderous dictator of the small island country of Vilena and end the years of death and destruction inflicted on its people. On a reconnaissance mission to Vilena, Barney and Christmas meet their contact Sandra (Giselle Itie), a local freedom-fighter with a dark secret. They also come to learn who their true enemy is: rogue ex-CIA operative James Monroe (Eric Roberts) and his henchman Paine (Steve Austin). When things go terribly wrong, Barney and Christmas are forced to leave Sandra behind, essentially giving her a death sentence. Haunted by this failure, Barney convinces the team to return to Vilena to rescue the hostage and finish the job he started. And to perhaps save a soul: his own.